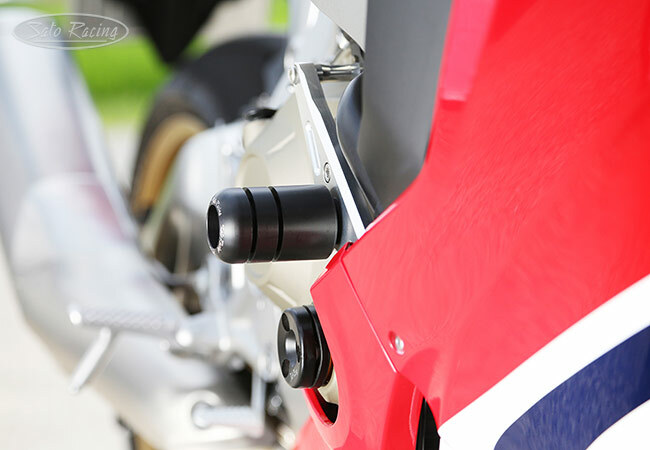 SATO RACING Engine Sliders for 2017-18 Honda CBR1000RR / SP feature slider pucks made of dense, low-friction DELRIN plastic for maximum protection of the engine and fairings if you slide at speed on the track. 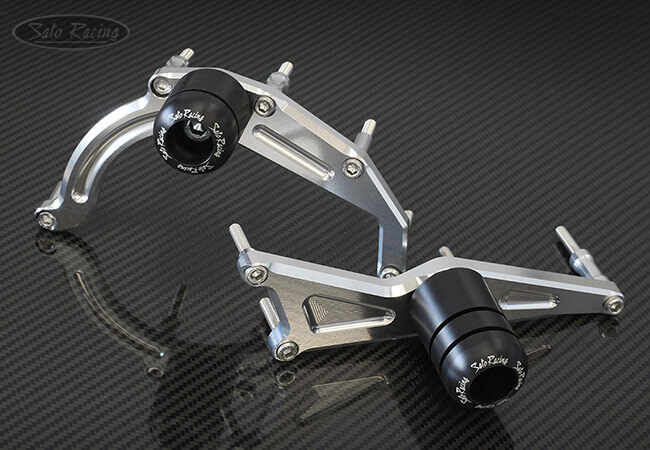 Sliders are mounted over the engine case on both sides with high strength anodized billet aluminum brackets and collars, and stainless steel bolts. 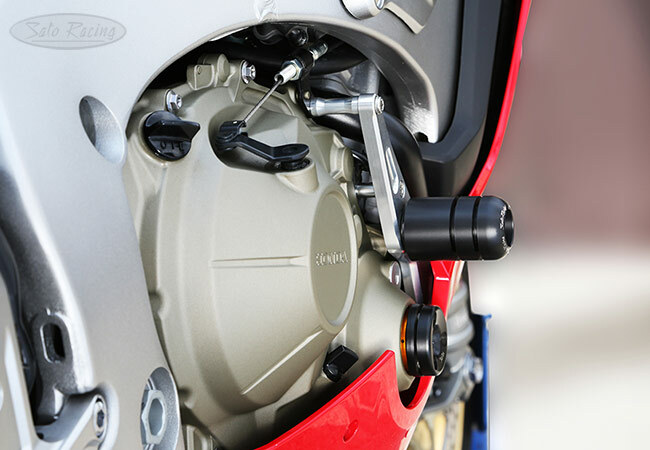 'No Cut' design - No body modifications or hole cutting is necessary for installation. 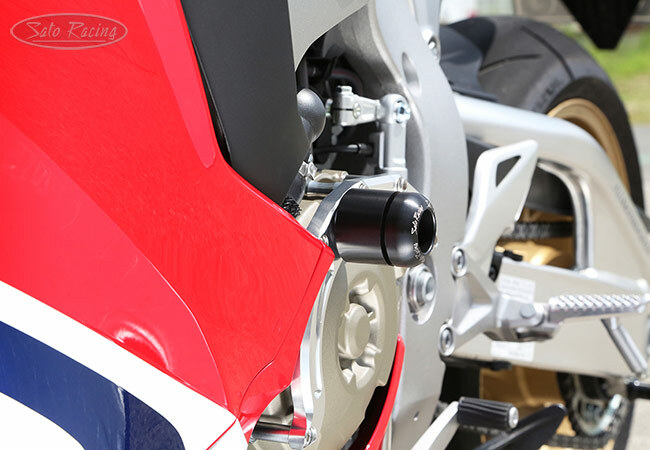 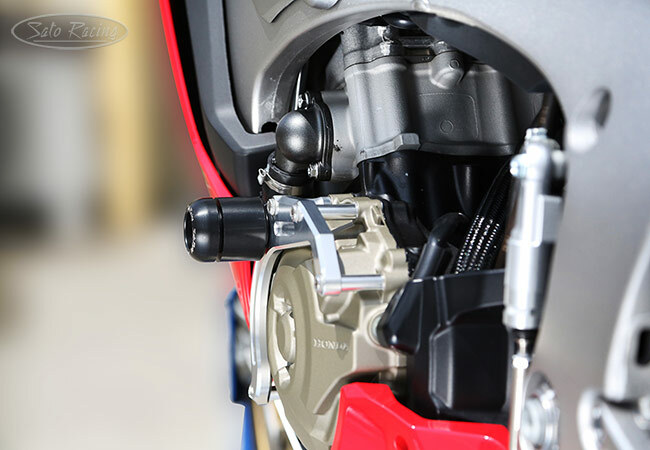 No fairing modifications required with our CBR1000RR Engine Sliders.